The Sweet Bookshelf: Why Read The Classics? 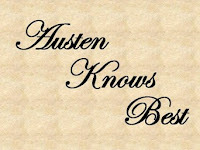 I have asked my friend Heidi from Austen Knows Best to be my guest blogger today! Thanks for being with us today on The Sweet Bookshelf Heidi!! Long-time friend Mary—I can’t believe we’ve known each other for 18 years!—has asked me to write a guest post for her blog The Sweet Bookshelf. I’m honored and thrilled to be asked, and I smile at my topic: The Importance of Reading the Classics. I’m not sure she knew just exactly what she was getting into by asking not only a librarian, but one who also was an English major undergraduate. I certainly have my views on this, and I am delighted to share them! To start off with, I should probably warn that I am two-sided on this issue. Not that I haven’t made up my mind about it. I just have two views which, without closer inspection, would look to be in complete opposition. Yes, that is right. I am for the reading of classics, and I am against the reading of classics. Let me define my definition of a classic, since varying teachers, professors, librarians, authors, and others of the book world tend to alter and contradict what they believe a classic is. When I refer to reading the classics, I prefer the old-fashioned notion which means novels written prior to at least 1950 (though preferably before the 20th century) which have stood the test of time. They did not peter out into obscurity, and they are fairly accessible compared to their distant relations that struggled for breath and recognition as the decades wore on. That right there provides for a very large collection, which is why I do not like to categorize books from the last 50ish years because to me they are contemporary and have not been around long enough to prove their status as classic. This, of course, is not to be confused with my phrasing “What a classic!” when referring to books that portray or convey various things in ways that greatly appeal to me. Some examples: Speak by Laurie Halse Anderson, Tuck Everlasting by Natalie Babbitt, The Giver by Lois Lowry, and Ella Enchanted by Gail Carson Levine. I do realize those are all Juvenile-YA titles, but that’s the kick I’ve been on for the last few years…or my whole life. So with the clarification of classic, I can move on to why yes and why no. First, the yes. These books have stood the test of time and I think that helps them deserve some consideration on our part as to why and how some of them have. Why did people keep reading these titles? What fascinated (or disgusted) people over the years? There must be something about these books that kept them being talked of—even if it was from complete hatred of the book! The discussions that spawn from reading classics are another great reason to read. Every one has an opinion. Why not share it? Classics, having been around for so long, have a much better chance at being read by more people around the world over a longer period of time. You can not only read what someone thought of Dickens’ novels in his day, but in all the 180+ years since. The connective discussions are wonderful to take part in and to learn from. I personally find it amazing that literature which has been around for decades or even centuries can and is related to society and circumstances in our day. I have always been a fan of universal themes, and classics abound in them. It is probably one reason they have stood the test of time. You can see books in our generation that have those and are heading down the road to eventual classics status (like the aforementioned The Giver). Connecting with others through reading is one of the main reasons, I think, that we read—and classics provide an excellent resource for us to do so. As for my opposition to reading the classics? Well, that goes more in hand with forcing anyone to read what they do not enjoy. (Shannon Hale has an excellent take on this, and I mostly rallied to her cause and views when I first heard her speak of it in 2006.) Where would this happen? School, of course. Poor teachers who must reach a broad range of students and select books that might appeal to all. If it didn’t appeal to you, tough luck. I fortunately lucked out in most of the choices my teachers came up with. Half of them were books I had planned to read on my own anyhow, so it gave me an excuse to read them sooner. Plus, I was a new discoverer of classics and hungered for more of this genre. Up to that point, I got my reading recommendations from “Wishbone,” so I was ecstatic to have my teachers introduce more options to me. But what of my poor classmates? Those who preferred other genres and those who (gasp!) didn’t like to read? Those books were nightmares for them! They didn’t understand the language, whereas I—being raised reading King James’ English—wasn’t phased by it. Plots were too intricate, characters were too many, and outcomes often made them feel as if they’d wasted days of their lives to end up with nothing fulfilling or uplifting. In short, they just didn’t “get it.” And because they hated the experience, they could not form any opinions of the book, only opinions of the forced reading of it. Remember how I said the classics have universal themes that bind people together in their discussions of them? That is still needed, and for that I understand, sanction, and herald the importance of having people read the classics. But give them more of a choice! Tailor to their needs until they’ve acquired a taste for it. You don’t give a starving man a banquet for his first meal. A bit of bread and water, some meat eventually. Work him up to it. The same should be done when getting people to read the classics. In the library world, we call it Reader’s Advisory. It’s many a librarian’s hope to work people up from the “lower” books (which serve their purpose) to the more intellectually stimulating with their universal themes that await discussion. Thousands upon thousands of classics, and yet we still recommend some of the most droning, depressing, drudging works that could exist among the classics. I guarantee there will be any number of classics that someone will dislike and even hate in their lifetime. I certainly have my fair share. We want people to discover those; they must discern for themselves, and sometimes those are the ones we can talk most passionately about. But give readers stuff they will enjoy at the beginning. When a baby first eats solid foods, we don’t force down their throat the stuff they spit back out. We give them something else more palatable to them. But as the child gets older, we are more firm and insist they eat the less delectable when we know it’s good for them. They may not like it, but they’ll benefit from it. It is the same with the classics, and other literature, too. Along the same food analogy, though, keep giving them choices. And rewards. I hated Hawthorne’s The Scarlet Letter, but I got a lot from it and right after was rewarded in getting to read Shelley’s Frankenstein. I had my choice between Swift’s Gulliver’s Travels and Toni Morrison’s Beloved (though not my definition of classic, it was considered as so by others and still required reading that summer). Though I was pretty sure I’d be rather bored by both, I knew I could handle the content of the former better than the latter. As I was taught more of the classics, I was also taught how to pick and choose what I would gain most from. Eventually, with good introduction and training, you send the reader off on their own to make reading choices for themselves. If they do not like the spinach books, they do not have to read them. But a wise reader will know that the carrot books are also nutritious and personally enjoyable to them. Some readers will go for the all-junk-food book diet. They will find enjoyment, no doubt. And can even sustain life on it. But it will not be as full and fulfilling a life without a well-rounded, balanced book diet that includes the classics. How would you determine what will be a classic from 1950 on since it hasn't had the opportunity to pass or fail the test of time yet? How would you explain to someone what the difference between Lord of the Rings, Harry Potter, and Twilight are? More importantly, should it matter? Twilight is not a classic! I went through a kind of classic kick after my first year of university. I'd been forced to read some pretty awful garbage. Ever heard of Joseph Andrews by Henry Fielding? It's supposed to be one of the first (or THE first) English language novel. It shows. At that point, they obviously didn't know how to make a novel interesting yet. You'd think that, after that, I would've stayed as far away from "old" books as possible. But I dove into all kinds of books from a variety of authors: Louisa May Alcott, Jack London, Willa Cather, Robert Louis Stevenson, H.G. Wells, L.M. Montgomery, Lewis Carroll, Mark Twain, Shakespeare... I read what I felt like reading, and I ended up reading a lot of classics that I enjoyed quite a bit. So I agree. If you want people (especially young people) to read the classics, you need to start them off with something interesting. I do think that people need to find their own taste, however. When I was in school, I discovered the horror genre and became obsessed - there wasn't a book I wouldn't read. My teachers tried desperately to get me to read Little Women or some Jane Austen but I was having none of it. It wasn't until I got to university that I finally read Austen and Gaskell and Bronte, and numerous other names, and found that I enjoyed them. My favourites are still by Wilkie Collins and other gothic writers but I think it's so important that a reader discovers what they like when they're young. If my old teachers had recommended some Wilkie Collins classics to me, I'd have been into them much much sooner. There's something to be said for books that stand the test of time. But that said, people have always probably had the same attitudes they have today. Yes, there is a great variety of taste, but there are also and have always been people who want to "show off" their taste by claiming to like something incomprehensible so they'll look cooler. I think a few classics could possibly fall under this category. Still, being amazed at what people like today, I suppose most classics just fall under people having incredibly different taste. I think Heidi's right. You can't go from a junk food diet straight to healthy and expect to not have some reaction. My husband, who studied music in school, had a semester of mostly opera to listen to. At first, it was painful and boring. But by the end of the semester, we could both appreciate opera and have even learned to love it. Austen's often a great place to start. Alcott's "Eight Cousins" and "Rose in Bloom" are fantastic. One might then want to try "Jane Eyre" and "The Tenant of Wildfell Hall." The key at first is persistence. Okay, I'll hush now. Ceri-I'm so glad you brought up Wilkie Collins! I wasn't sure how to fit him into the post, but I was thinking of him and those who like the "darker" books. This is such a smart post. I love that you distinguish between what you consider a classic and what you don't. I have spoken to many people about this, and ideas about that concept vary greatly. I also love your position on letting people work their way up to reading the classics. I have friends who have given up on reading books almost entirely because they were forced to read things that they were not ready for. I think that is sad. Whether you read classics or not, there is still a lot to be gleaned from reading, even if you only read the books that seem appealing. I was never really into the classics (although I appreciated them) just because I didn't get very much exposure to them except through school. I had this problem with school, though, & I didn't want to read anything that was assigned to me at the time. Now that I've had a little distance from schooling (I got an English degree, ironically, two years ago), I have been aching to read some well written, classic novels. Which would you (Mary or Heidi) recommend to me for starters?